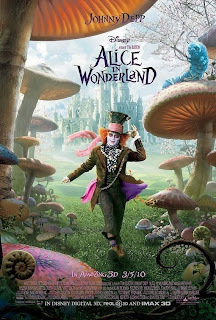 YAY YAY YAY ALICE IN WONDERLAND! Thanks to someone I missed the first 5 minutes. LOLOL. Okay fine it was my fault, was too hungry to ignore my growling stomach. 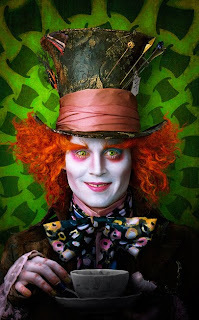 WHEEEE I ♥ ♥ ♥ ♥ ♥ ♥ ♥ ♥ ♥ ♥ Johnny Depp!!! AHAHAHAH SHE LOOKS DAMN FAMILIAR RIGHT! That's cuz she is BELLATRIX LESTRANGE in Harry Potter!! 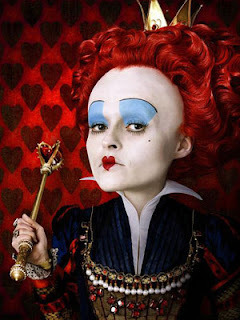 She is damn hilarious in Alice in Wonderland, "OFF WITH THEIR HEADS!" 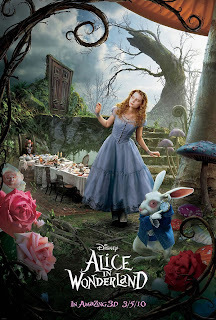 Alice..is...Alice. 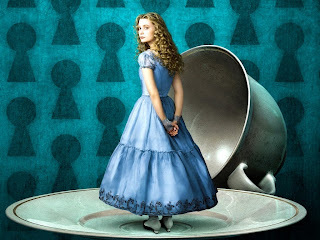 Looks like the cartoon Alice. 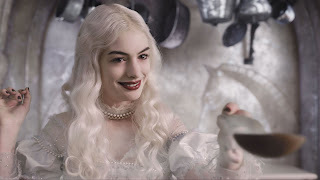 Anne Hathaway had to act regal and graceful. LOL.